Lillie Belle Summer, c 1898. It was with regret that the citizens of Mt. Pleasant, and especially the faculty and students of Mt. Amoena Seminary, gave up their efficient music teacher, Miss Lillie Belle Summer. Miss Bessie Summer has been called to Charlotte to attend her sister, Miss Lillie Belle, who was taken worse on her way home and carried back to Charlotte. 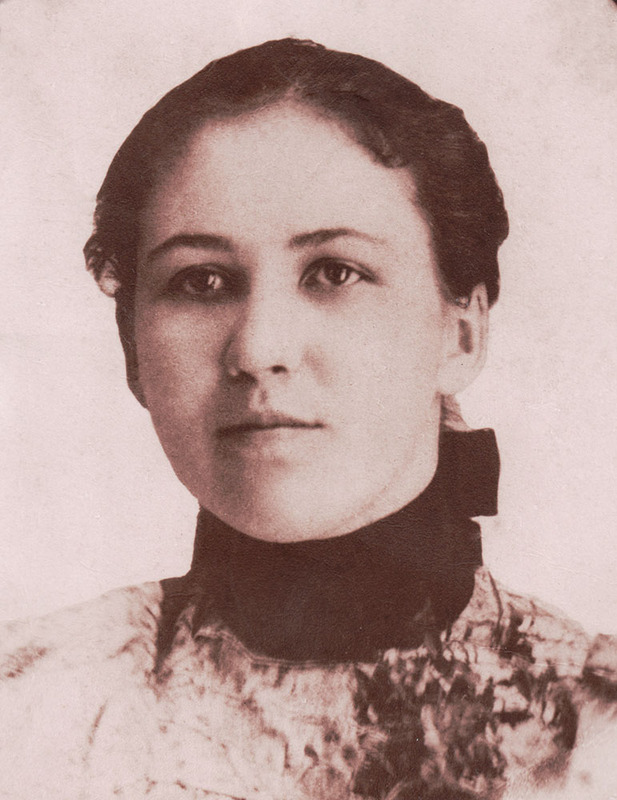 As noted in Monday’s Daily, Miss Lilly Bell Summer, a lady student of Mont Amoena Seminary, had started on her way to her home in Georgia, after having been sick for several weeks. She boarded No. 11, the passenger train arriving here at 11.23 that morning. When the train arrived at Belmont, a short distance below Charlotte, she became very sick and it was deemed advisable to put her in the care of some one. She was brought back to Charlotte that evening. Her sister, Miss Bessie Summer, who is a teacher in the seminary at Mt. Pleasant. went to her bedside Monday night. Before going to press today (Tuesday) we learn that she is yet quite sick. As to her sickness, it is thought that she is simply broken down physically, very probably from overwork with her studies, having confined herself to her studies quite much. Miss Bessie Summer, who was called to Charlotte by the sudden sickness of her sister, Miss Lilly Belle Summer, and who accompanied her to her home in Georgia, returned today (Tuesday). It is not good news that Miss Summer brings as she informs us that the condition is scarcely changed and nothing can be definitely told yet. Many, besides her acquaintances, remember of the incident some weeks ago when Miss Lilly Belle Summer, who was the assistant music teacher at Mont Amoena seminary, became very sick on her way to her home in Senoria [sic. ], Ga.
She became delirious at Gastonia and was brought to Charlotte. She was afterwards taken to her home in Georgia. A telegram has been sent to Miss Bessie Summer, who is also a teacher at the seminary at Mt. Pleasant, stating that Miss Lilly Belle died Tuesday. Miss Summer has many fond friends made during her stay, both as a scholar and teacher. That we submit with humble resignation to this act of Providence knowing that our Heavenly Father Posses infinite wisdom and works all things together for the good of them that love Him. That we tender to the bereaved relatives our heartfelt sympathy over the brief separation from this loved one and bid them find consolation from the sure hope of eternal life with a a reunion of all those who fall asleep in Jesus. That we sorely feel our loss in being deprived of such an efficient and conscientious assistant co-laborer, who had the promise by natural qualification and great ambition of becoming eminently useful in her chosen profession. That we testify to her Christian graces, her lovable and cheerful disposition, and her many acts of love and friendship in the school which made her a favorite with students and teachers. That her association in the school has been of the most helpful kind, and her memory will we ever cherish, and in cherishing it will do us good. That these resolutions be recorded in the minutes of the Seminary, that a copy be sent the relatives, and that they be published in The Mont Amoenian, The Concord Standard, The Times, The Lutheran Visitor, and the Enterprise-Gazette, Senoia, Ga.